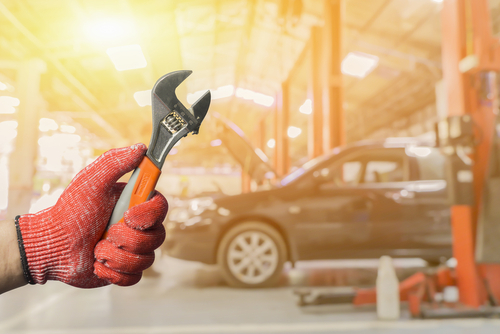 It is always a struggle when something goes wrong with your car as you will want to find a mechanic to repair the damage as soon as possible. It is also important to consider the type of service that your particular mechanic offers. Do they complete free checks? Will they be able to repair the car within your timescale? These are some of the many questions you should ask yourself before booking your car in with anyone. At Freeway Exhaust & Tyre Centre, we understand the need for quick and easy car repair services. When your car needs repairing, you need a reliable and efficient mechanic to take care of the repairs for you, which is why we offer a Fastfit service. The majority of our repairs can be carried out whilst you wait for it to be finished, so you’ll never have to worry about leaving your car anywhere or finding other transport whilst your car is being fixed. If you are searching for ‘Car Repairs Tunbridge Wells’ then look no further. Call Freeway today on 01892 520022 to speak to one of the team! What Car Repair Services Does Freeway Offer? Exhaust Repair: The exhaust of your car is very important in the performance and running of the engine, so, therefore, any potential damage to the exhaust should be looked at by an experienced technician. The exhaust system also includes your catalytic converter, which is responsible for the emissions within your car. If your exhaust becomes damaged then it could cause your vehicle to run poorly and is also likely to be a failure point for your MOT. Tyre Repair: A car’s tyres are the only part of the car that makes direct contact with the road itself and therefore you should always ensure your tyres are in good-nick at all times. We offer an easy and efficient tyre service that allows you to purchase high-quality tyres with us, as well as a fitting service so that your car can get back on the road straight away. We stock many premium tyre brands such as Michelin, Continental and much more. If you have any issues with your tyres at all, please bring it into the centre and our team will be happy to check it out. Suspension Repair: Your suspension ensures that the car drives smoothly, which is helpful in the event of an uneven road or pothole. It maximises the friction between the tyres and road surface, making it much easier to drive. Maintaining the suspension of your vehicle is important for the stability and handling of it and this aspect will also be checked within your MOT test. Freeway can help diagnose any issues with the car’s suspension. Brake Repair: Brake failure can cause an accident and therefore it is vital that you get your breaks checked if you suspect there is a problem. The team at Freeway are trained to service and repair all braking systems which include the brake pads and discs. We recommend that you get your brakes checked at least twice a year so that any problems can be diagnosed and fixed before it becomes dangerous. This is just a short list of some of the many car repairs we offer at our Fastfit centre. If you wish to enquire about a different type of repair then please get in touch and our team will do their best to help you. If you ever have any doubts about your car then the best thing to do is to bring it into our centre, situated on St John’s Road. The team at Freeway are committed to providing each and every customer with a high-quality service, no matter what the problem is. Established in 1973, we have many years of experience in the industry and will always find a solution to ensure your car is running smoothly. For more information on our car repairs service in Tunbridge Wells please give us a call today on 01892 520022!